Once considered the best-managed company in America, a stalwart top 10 in the S&P 500 with a dividend safer than Fort Knox, the company has suffered a series of crushing blows to its reputation. Today, GE is going through is a disruption that will repeat itself in waves throughout the corporate universe. It happened sooner at GE because they were smarter and saw the future first and actually shifted strategy to something called ‘industrial digital’ only it wasn’t fast enough. In the same way that weaknesses of a football team don’t emerge during the regular season but appear so clearly in the playoffs. Companies built to centralize and theorize at length about how the market works are in the same boat. They are smart but the world moves several times as fast as a major company can transform. The forces of technology, globalization, and volatility are cruel seducers. First, they tempt the high and mighty, then they crush those who try. Incoming CEO John Flannery knew the score as he had been hand-picked and was the obvious heir apparent to CEO Jeff Immelt. He didn’t waste a minute or two slashing executive bonuses, cutting the dividend in half, threatening a fire sale of anything that moves, slimming down the board of directors and then did the unthinkable, invited the bete noir of corporate chieftains, Nelson Peltz, onto the board. The result? Nada: the stock near the mid-teens, and a valuation dropping like a dead weight. For those who place blame on the outgoing CEO, the time for pointing fingers at the usual cast of suspects is over, too. The world is not just different as in more global, but in the the way things changed back when the first stick of dynamite or first can of nerve gas was thrown into a WWI trench. We are totally unprepared for this type of warfare. Because GE is so good and has been brought to its knees, the evidence is clear, it’s going to be armageddon for the rest of us. The way business has changed, nimbleness and speed replaced brainpower as the primary factors for business success. Don’t believe that? Does anyone really think Facebook is a better media company than the New York Times? Is Amazon really better at choosing merchandise or pricing than Walmart? Hardly. Those are strategic advantages or business model inputs. But they aren’t the substance of corporate success these days. With massive levels of higher education from all parts of the world fed into computer algorithms, brains are a commodity, creative risk taking is the measure of what succeeds. The business canvass has shifted from a war room mentality to a focus group, and the new company simply is better at hearing what the market wants now. Which is why Amazon’s Alexa seems to know us better than we do. She isn’t smarter, because, after all, we are her teacher (as is everyone else). She is just quicker, more sure of herself, less distracted, more reliable, and always learning. She is a nag, but she’s good for us, which is something she proves daily. Hence, business models that require a long time to think about distribution, cogs, and marketing programs can’t compete with her. The old way of devising strategy took too long and now the only thing that matters is the next few steps and not a five year direction. By GE’s vaunted standards, long-term strategic thinking actually slows down the speed we need to navigate abrupt shifts typical of global markets. I had the chance to interview former CEO Jeff Immelt in 2016, shortly before the current crisis, and his comments showed how fully aware he was of these challenges. Immelt set about to reconstruct GE for this new world, and while he did everything a highly capable CEO could possibly do, he could not move fast enough. The problem wasn’t Immelt, and although his board wasn’t ready for the new world, that wasn’t the matter either. It turned out to be the legacy of how a major business is supposed to operate, slowly and methodically. Disruption today springs from many sources including the Chinese economic miracle, technology and geopolitical disruption, public discontent with major institutions which began not long ago with Occupy Wall Street and is now evident as Bitcoin savagely attacks our financial markets. Consumer tastes didn’t change, they revolted. Tesla is now the most valuable automotive company in America with a fraction of the sales of GM or Ford. Yet, the company does no traditional advertising and does not have a dealer network. So why didn’t GE see it coming? In fact, Immelt did. The problem wasn’t in the strategy but in the time it took to implement it. Long term thinking has given way to a ‘pop up’ mentality, like those restaurants that open overnight in closed stores in shopping malls, where quick forming strategies appear suddenly and then move on. They are asset lite, employee lite, and have not the slightest bit of sentiment towards anything that feels like corporate culture. By the time a major company gets its arms around the opportunity, the window dressing is completely changed. In the old era, corporate strategists were paid handsomely to reject instinctive hunches and replace them with highly quantitative and lengthy deliberation. Occasionally, an Elon Musk or a Jeff Bezos broke through. But today, they are the norm and that isn’t going to be something the headquarters glass tower is prepared to deal with. Failure to believe in instinct is why a formidable creative automotive powerhouse like Chrysler ended up with too few Jeeps in one era and too many minivans in another. One step ahead, then two steps behind. The problem wasn’t brains, it was lack of boldness. Total risk aversion is what happens when the biggest risks are pushed aside until they are clear, but then it’s too late. We are in a state like the Revolutionary War era when musket loading weapons were slower than rifles, and that difference in speed meant powerful weapons were useless in battle although they made great sense in theory. Strategic planning that requires months of approval won’t to stand up to Mark Zuckerberg’s ‘hacker mentality’ in which a team of Stanford dropouts creates a solution in six days not six months. The Department of Labor isn’t standing over their shoulders asking about equal opportunity or minimum wages. By the time the product is launched, Silicon Valley venture capitalists are ponying up millions to fund them to the next stage. In the headquarters of General Electric, teams are still brushing up their power points and waiting for overpaid middle managers to refresh their coffee mugs. The changes have meant that long term planning as a mechanism for decision making is in jeopardy. If it takes your team a year to develop a global competitive strategy, someone in Silicon Valley has developed an AI or blockchain workaround before your first brainstorming session. What was also implicit is that deep expertise is now divided into micro-segments, those which can be developed overnight and without unnecessary delays. Amazon’s runaway success with AWS demonstrated how a major player could articulate a ‘sliver strategy’, one that veered away from their core skill, which the business school brainiacs said would never work. But Bezos knew differently. He saw a big market, an easy tech curve, and no one focused on what was obvious, expertise was inbred because they had done it for themselves, all was needed was a network mentality, let’s rent it to everyone. Today we call it the Cloud. The old style of building great big blue ocean schemes relying on far flung assets and limitless numbers of employees has given way to newer models of crowd sourcing, AI driven decision making, and networked organizations. Uber should have taken decades to build out. Instead, four undergraduates, one of them a UCLA college dropout, pushed aside fleets and chauffeur drivers, encouraged independent and often immigrant climbers to lease cars and download an app. Presto, a global business born overnight. 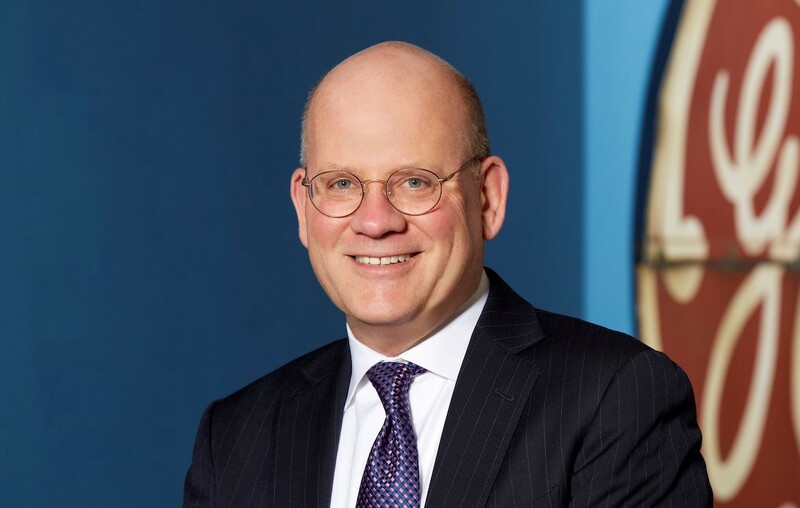 The new era is confirming Immelt’s edict that business has no shelf life, but it also issued a painful warning to John Flannery, that GE has no shelf life either. The abrupt changes he is making are not revolutionary, they are just a realization that a little bit of chaos prevents a ton of catastrophe. For a time going forward, running a major global company may feel the same.